No plans yet for your entry into 2019. Join us for a dinner prepared by the fantastic Chef David Thomas. Entertain your tastebuds with the finest cuisine. 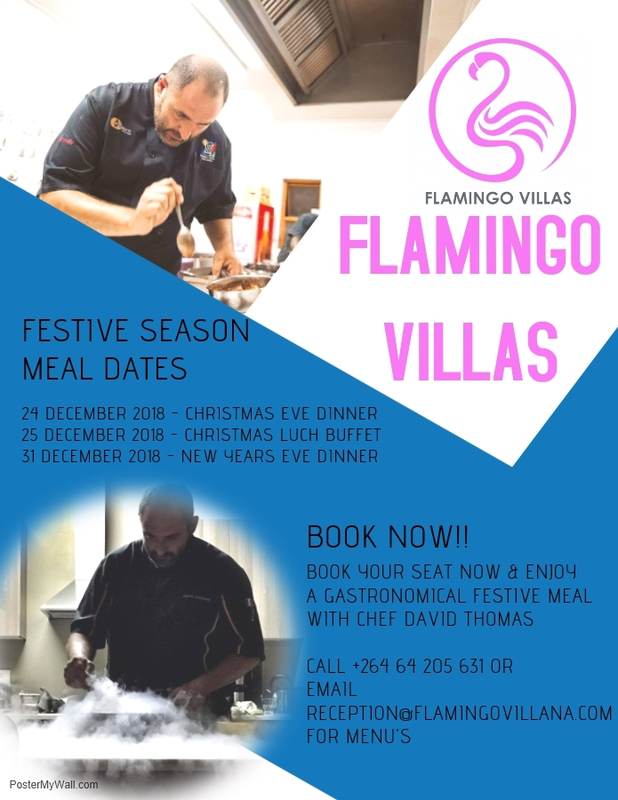 Call +264 64 205 631 or e-mail reception@flamingovillana.com for a booking.